Air India is paying tribute to women power in a unique way this Women’s Day! 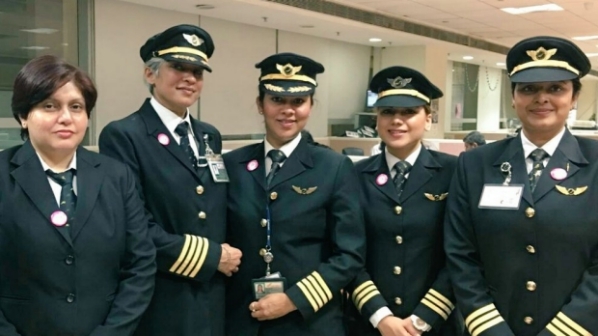 It has operated what it has declared to be the world’s longest flight — from New Delhi to San Francisco — staffed only by women to mark the International Women’s Day. A team of four pilots and 10 cabin crew were on board the Boeing 777-LR that left Delhi early on Sunday, said airline spokesman G Prasada Rao. Right from flight operations, including check-in, ground-handling and traffic control, will all be handled by women. The non-stop flight will cover some 12,300 km in about 16 hours. It will return on March 8 to mark International Women’s Day. The airline had published ads in newspapers, announcing the all-women flight. It had informed the public that it would operate 22 flights, with all-women crews on March 8. 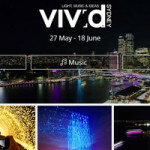 Vivid Sydney: A Poetry Written By Lights And Lyrics!